“By happiness I mean here a deep sense of flourishing that arises from an exceptionally healthy mind. This is not a mere pleasurable feeling, a fleeting emotion or a mood, but an optimal state of being. Happiness is also a way of interpreting the world, since while it may be difficult to change the world, it is always possible to change the way we look at it” – Matthieu Ricard. International Day of Happiness (20th March) is just a few days away and together with thousands of people around the planet, we are looking forward to joining the celebrations. This is the fifth time the world celebrates a “Day of Happiness”, and there is growing momentum behind the movement seeking to place the happiness and wellbeing of all life forms at the centre of development. 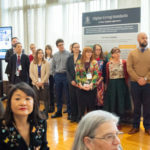 From community organisations such as NOW, to international dignitaries like Nicholas Sarkosy and UN Secretary-General Ban-Ki Moon, there is a growing consensus about the need for a new social and economic paradigm that acknowledges the interconnectivity of our world. Ban Ki-Moon has made clear: social, economic and environmental wellbeing are indivisible. 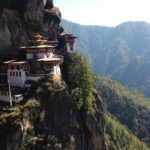 Bhutan helped to kick-start this global “happiness” movement back in 1972, with Gross National Happiness (GNH), offering a new way of looking at progress at a national level. Organisations in Bhutan, such as the Gross National Happiness Centre, have more recently lobbied for GNH to be adopted at a global level. It was in 2011, in a meeting convened by the Government of Bhutan, that the UN passed a resolution declaring the need for “a more inclusive, equitable and balanced approach to economic growth, that promotes the happiness and wellbeing of all people”. In the following year, on July 12th, 2012, International Day of Happiness was born. Gross National Happiness – The Message from GNH Centre Bhutan on Vimeo. Any lasting happiness can only come about by changing the way we live and re-skilling ourselves. We need to stop engaging in the rat race, where the value of individuals is measured by what they have, and not by who they are. Genuine happiness is relational; the quality and depth of our relationships with others and wider society influences our happiness much more than the amount of stuff we own. It is true that in order to be happy we need a certain amount of stuff – such as a roof over our heads and enough food to eat. 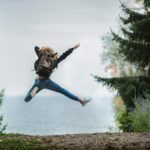 Yet, material goods alone won’t make us happy; wealth has been shown to have a diminishing impact on happiness levels, and other factors, such as relationships to each other and the natural world, have been shown to be vitally important. It is encouraging to see that global leaders are starting to see the link between (personal and collective) wellbeing and genuine prosperity. However, to really address the current global challenges we face we also need a revolution from the bottom up, where we as individuals take increasing responsibility for our own happiness, and the wellbeing of wider society and of the planet. Spend time in nature, rediscovering the sacredness of Earth. Shift our awareness from the mind to our bodies, and take care of our bodies through the food we eat and the exercise we do. Spend time genuinely connecting with others and building strong relationships. Training the mind through techniques such as mindfulness and other simple practices that increase our reflective awareness. In order to promote wider global happiness we each need to develop the happiness skills that come from cultivating a healthy mind and changing the way we look at the world. Our mission at the Gross National Happiness Centre Bhutan is to try to embody and model the principles of GNH, and to demonstrate how these principles can practically permeate every aspect of the fabric of society. This year, the GNH Centre will scale up and join the celebrations of the International Day of Happiness simultaneously in Bhutan and London. In Bhutan, our team will travel to a remote community in the southern part of the country to celebrate the day along with students and parents of Norbuling Central School, in Gelephu; a stunning secondary school in the foothills of the Himalayas. 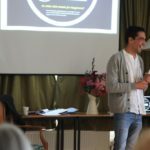 The day will be marked by workshops that encourage not only introspection and self-reflection, but also playfulness, joy and togetherness, which are at the heart of happiness. In London, we will join the Museum of Happiness and Action for Happiness, who will be hosting a number of workshops ranging from laughter yoga, conscious dance, and many more. We will explore different aspects of happiness, and practice generosity by sharing the wholesome food of the Karma Kitchen at lunch, and then share the positivity of the day through a happiness flashmob at the end of the day (the workshops on the day are fully booked, but there’s still an opportunity to register for the flashmob, or to participate online for those outside of London). We, at the GNH Centre, would like to invite you to join us in celebrating International Day of Happiness anywhere you are. You can mark the day by joining events in-person or online, or you can celebrate in other simple ways; through a random act of kindness for a stranger, or by just beginning the day with a smile. Cultivating universal inner values, such as compassion and empathy, is now more important than ever; to help us radically transform the way we relate to ourselves and each other, and to find a sense of more lasting happiness. Huge thanks to Nima Tshering and Felipe Viveros of the Gross National Happiness Centre for sharing this post. You can also check out other posts in our International Day of Happiness series here. All images used in this post are credited to MARTI Photo.